I love making my own cards. It only takes a few minutes and is such a great personalized touch…oh yeah, and it’s cheaper than buying one! 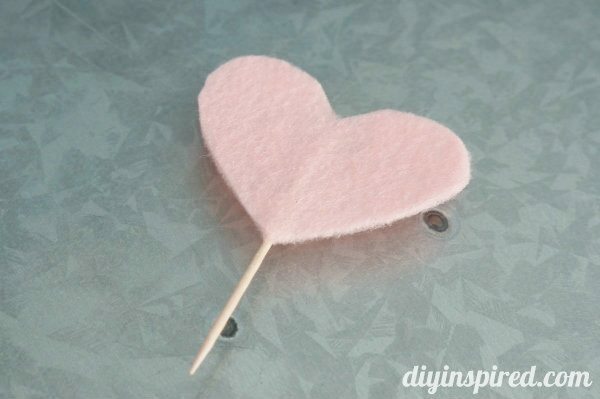 I made this easy homemade Love You Valentine in a few easy steps. 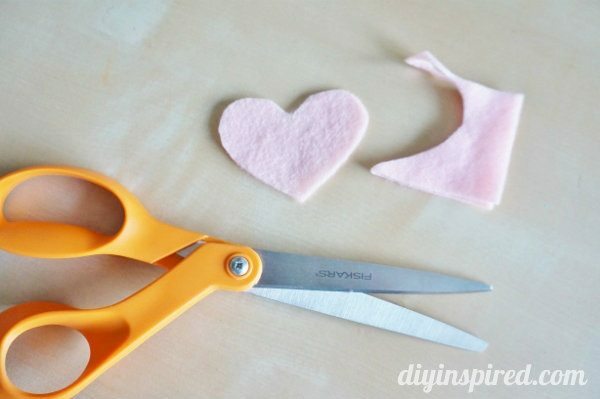 I love that you can pull the little felt flower out as an added bonus! Here is how I made it. I started off by cutting my card. 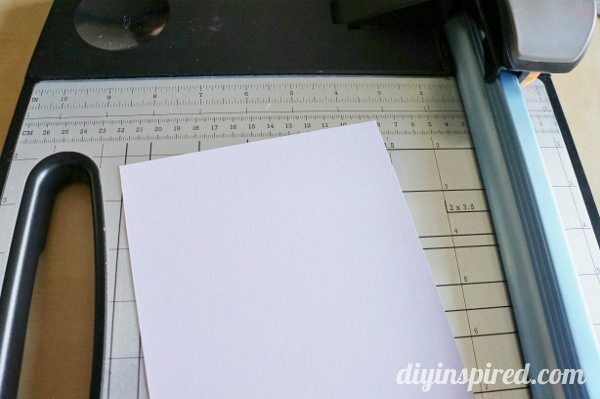 If you have envelopes handy use those dimensions. For some reason I always have extra envelopes lying around. How does that happen??? 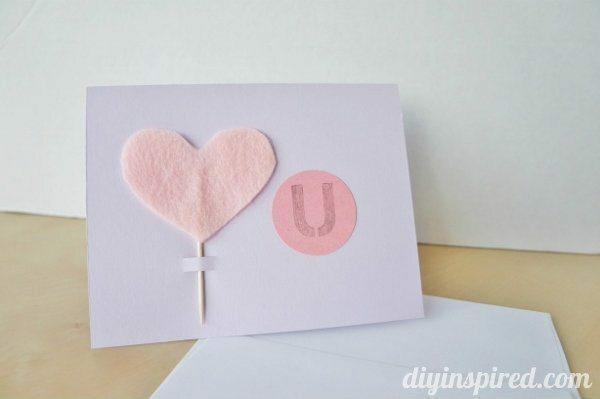 I used a cutting mat and craft knife to cut slits in the front of the card for my heart toothpick to go through. This slit was approximately one inch from the bottom of the card. …and glued it to a toothpick. 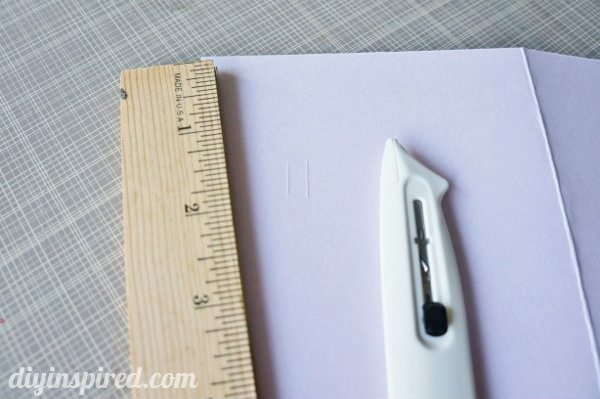 Hot glue works best because it’s quick and easy and you don’t have to wait for it to dry especially if you are making several of these cards at once. 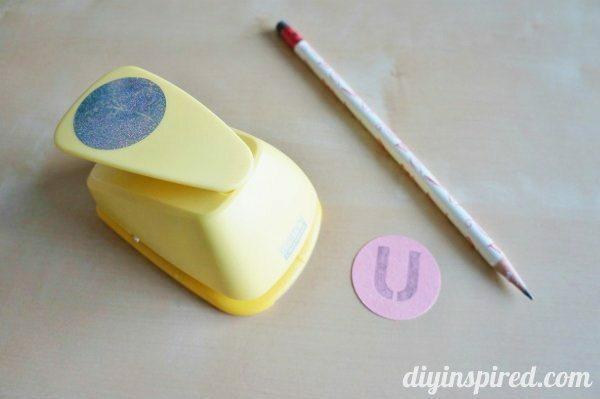 I also used a craft punch to cut out a circle and drew a “u” in the center of it. Finally I glued the circle to the front of my card. That’s it! 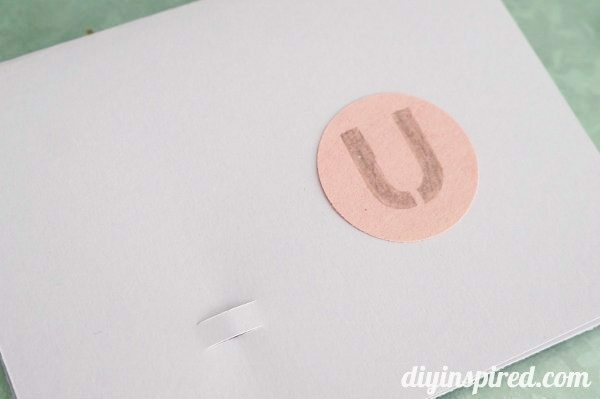 A sweet, simple, and thoughtful “love you” card with a bonus gift! I thought this would be cute for Mia to send to her grandparents, cousins, and uncles and aunts.